An ongoing, always-in-beta speaker series hosted in Minneapolis, MN. UPDATE: Many thanks to the 120+ attendees and especially Peter Nicholson for elevating our 24th Conversation About The Future Of Advertising. Click here to watch the video from the August 17 event via MIMA.org. Here we go again (but with a twist for you CATFOA loyalists). This time the Conversations About The Future Of Advertising speaker-series features Periscope’s newly minted Chief Creative Officer, Peter Nicholson. We're going to talk about the difficulties of change (see below). Doors open at 5:30pm on Wednesday, August 17, 2016. The twist? We're in a new location: The Minneapolis Event Centers' Riverside Ballroom next to St. Anthony Main. (Loyalists: please don't go to the old venue.) Huge thanks to the Minnesota Interactive Marketing Association for hosting this event. 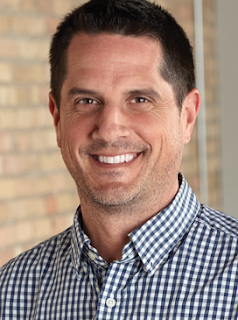 Peter Nicholson has led an impressive 20+ career in creativity and ideas and leadership -- from Leagas Delaney to Goodby Silverstein, Deutsch, JWT, McKinney and now here in Minneapolis at Periscope. On August 17 we're going to talk with Peter primarily about change management. It'll be a useful conversation for agency leaders, owners, creatives and pundits. Specifically, we'll talk about the challenges in making an agency or a marketing organization more fluent in the technology of modern advertising. We'll talk about how the efficacy of advertising has changed - and what that means for advertising ideas. And the changes in client/agency relationships, revenue models and staffing models. We'll also talk about what needs to change within agencies so there is a more even balance of genders and races (especially in leadership positions). It's going to be a rich, nuanced conversation. Don't miss it. Hosted since 2007 by Tim Brunelle, creative enterprise leader, entrepreneur, teacher and former President of the Minnesota Interactive Marketing Association—CATFOA seeks to improve the quality of interactive marketing and advertising developed in the Twin Cities through enlightening interviews and their resulting conversation.